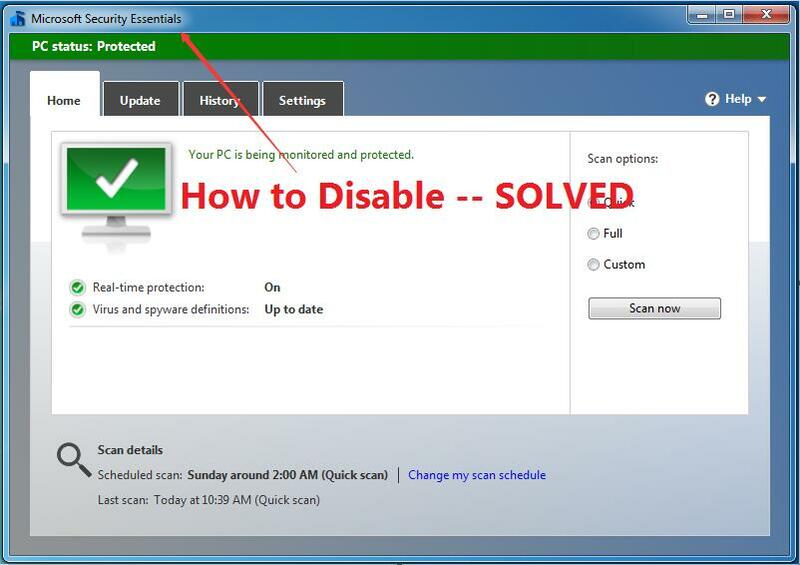 Many windows users choose to use Microsoft Security Essentials(MSE) to protect their PC against computer viruses, spyware, rootkits, etc. For various reasons, you may want to disable it temporarily. 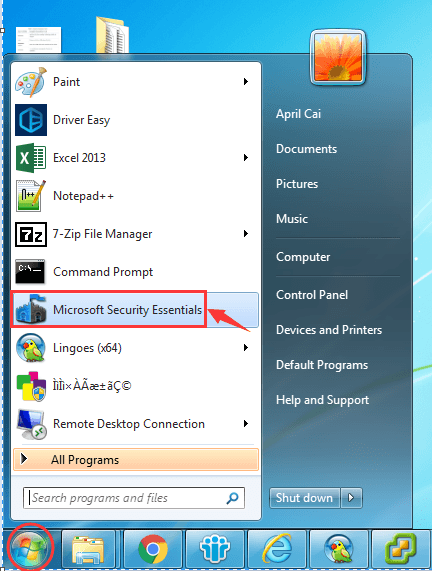 Here let’s learn how to disable Microsoft Security Essentials temporarily. Follow the quick and easy steps with pictures below. Double-click Microsoft Security Essentials from Start menu to open it. Click Settings > Real-time protection. 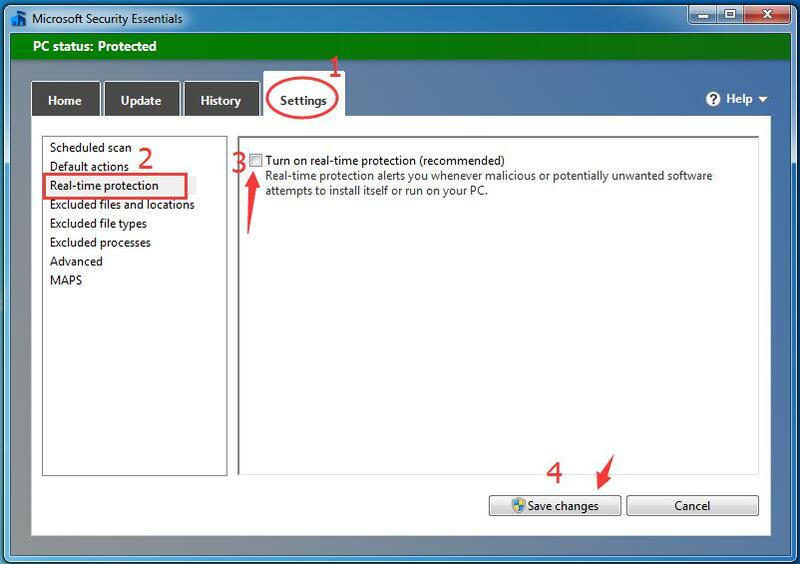 Then untick Turn on real-time protection (recommended). Now your MSE is disabled. You can see red color warning message on its home page. Once you finish your to do list when MSE is disabled, turn on it as soon as possible for its protection. 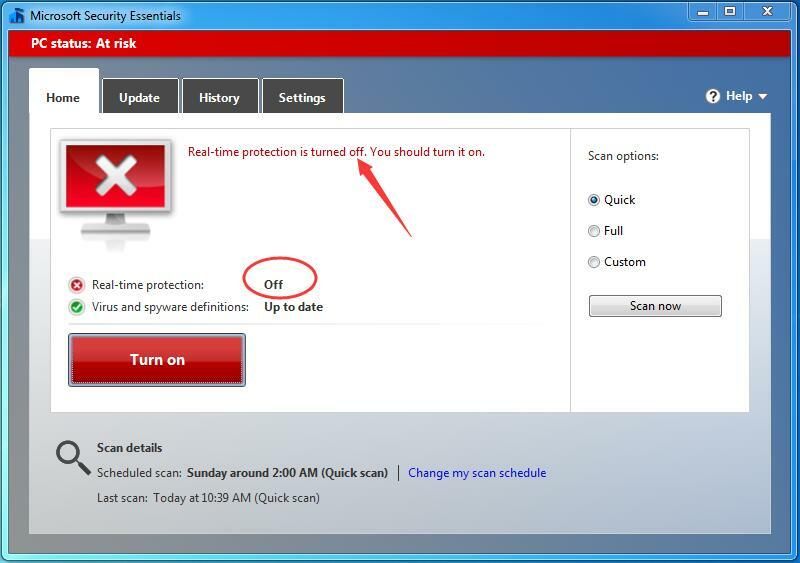 Just retick Turn on real-time protection (recommended) to turn on it. That’s it. Hope it exactly helps you.